I hope you get time to visit with family and friends. We are having a white Christmas and it is very beautiful. After the holidays it’s clean the craft room and start new projects. My sons are helping me with some videos, hope to have those up and running soon. Nice to have live-in technical support. OK right up front I have not tried this product yet or even gone looking for it. (though it is available on amazon) I just thought I would highlight it, because if any of you are making mugs as Christmas gifts it might be a great product to try. It is dishwasher safe mod podge. 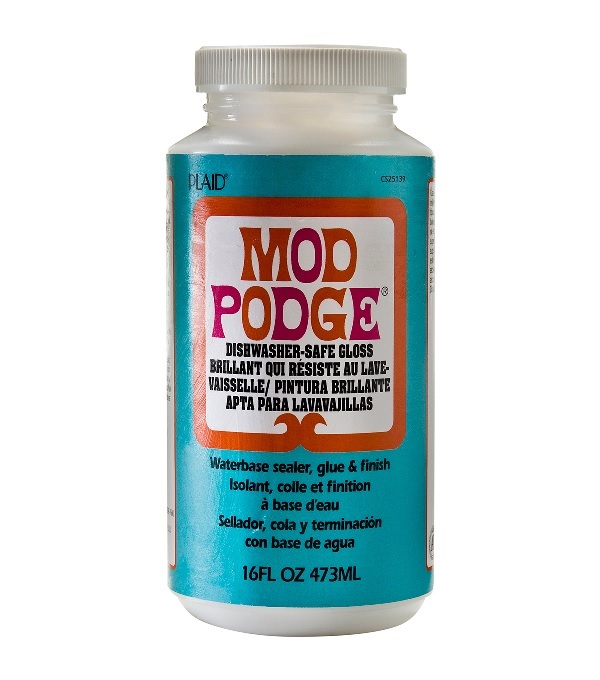 You use it like regular mod podge, but can wash items in the top rack of your dishwasher. Would love to hear a product review if anyone has tried it yet. PS Did a little more reading: People like the product, but it does take 28 days to cure. Recently of a trip to my home town to visit my family my sister and I went to a crafting night at the local art center. We made dioramas, it was a terrific evening. My home town took their old library and made it into an art center for the town to enjoy. They have different artists work on display and offer many classes and workshops through the year. It is a wonderful place to go, have fun and meet people. Nice to see this build put to use. 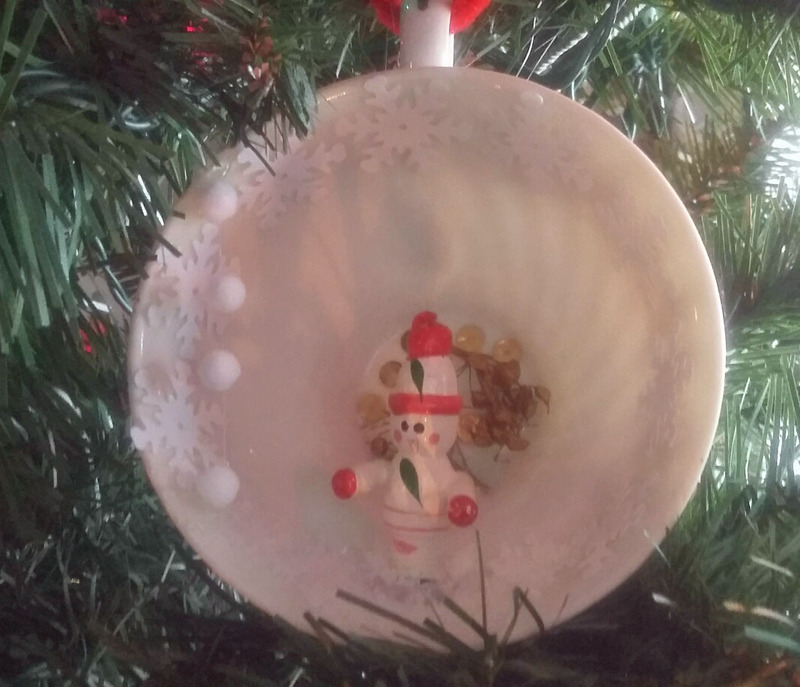 To make the dioramas, there were tea cups to choose from, a wide assortment of small decorations, and glue. We used both Tacky glue and hot glue. Add glitter, pompoms and little snow flakes and with in an hours time you have made a diorama or two. Webster definition of diorama is: a scenic representation in which sculptured figures and lifelike details are displayed usually in miniature so as to blend indistinguishably with a realistic painted background. Not sure that is really what I achieved, but it was fun and I am doing more of these little projects. You can use lids, match boxes, cookie cutters pretty much anything that will hold your display. I have been collecting old Christmas cards to add as background. Here are a few more diorama ideas: Click on picture to follow to link.